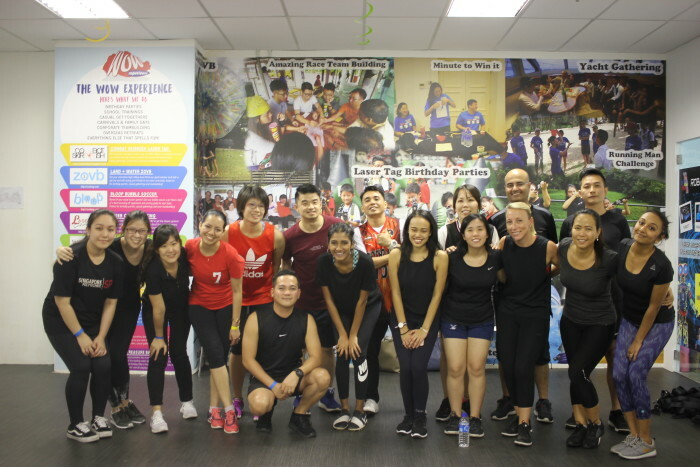 Last Friday (6 April), the team at Human Resources was seen spending the afternoon pushing boundaries and striving high at the Let ‘Em Play indoor studio of OneDYNAMICS Teambuilding. 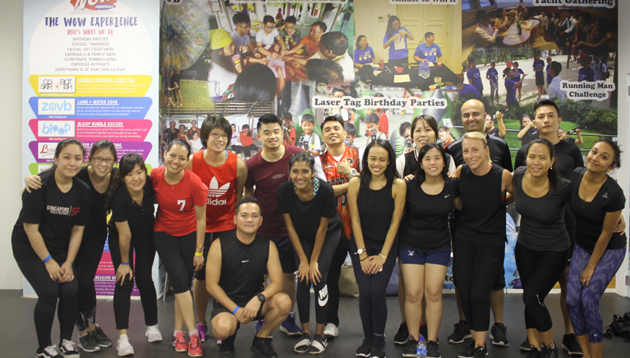 Located at Trade Hub 21, our team of nearly 20 staff from different departments across the brand gathered at the facility as we were greeted by an exciting indoor obstacle course. Before the adventure began, staff were divided into teams which were met with the professional, patient and careful supervision of the OneDYNAMICS trainers. As safety is of utmost importance throughout the activity, each trainer is first-aid certified and comes with years of teambuilding experience. While the games at OneDYNAMICS are developed in-house, they do carry elements from well-known reality TV shows. For example, the first part of the agenda saw teams playing Minute to Win It! A modified version of the popular television game show, this game acts as an icebreaker where each team was given a minute to complete different tasks. For example, each of our teams had to pick different-sized beans with chopsticks, stack a pyramid of cups, and build a tower of cards. 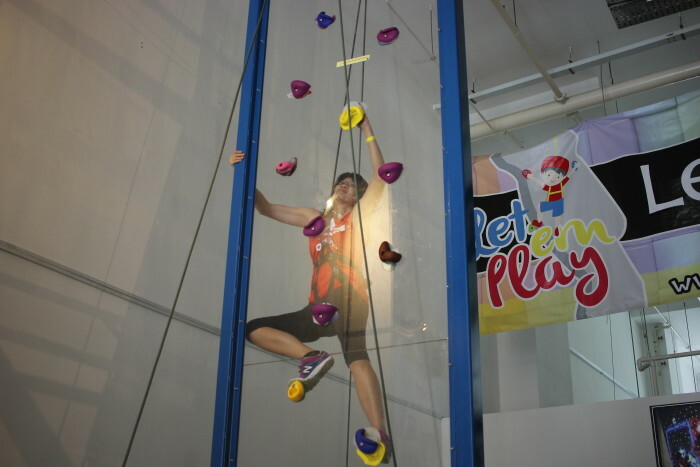 Following that, we moved on to a more strenuous activity – wall climbing! 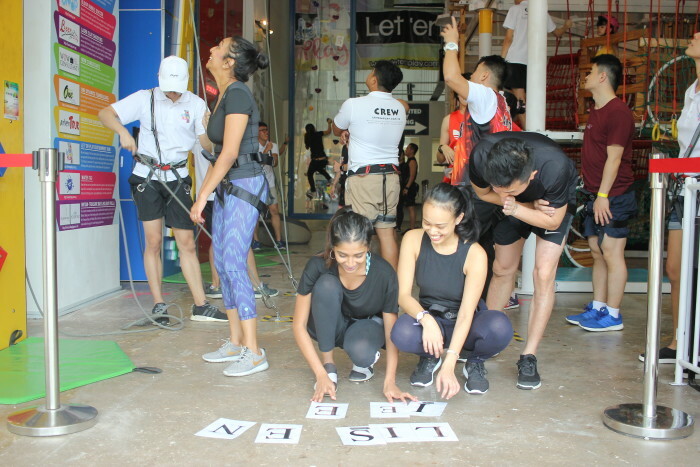 In this programme, teams were tasked to retrieve numbers from its various rock climbing walls in the fastest time possible. At the end, teams would have to spell out a word from the cards that they retrieved. During this activity, we could see each colleague working across everyone’s differences, strengths and weaknesses to meet a common goal. Not only that, this programme also encouraged effective communication and engagement. 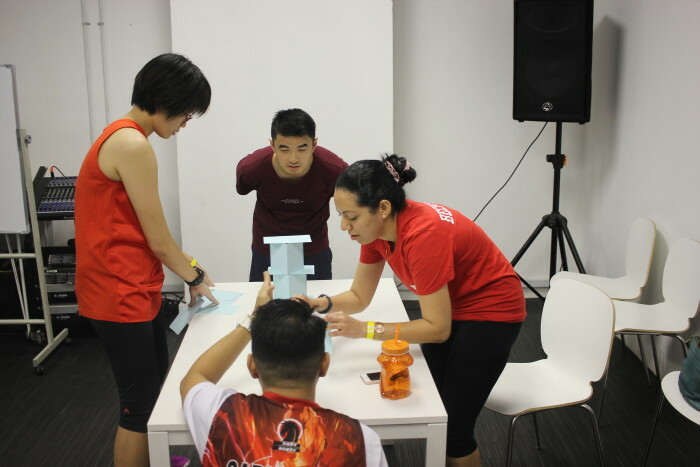 Saving the best for last, teams had to push their physical and mental boundaries for the final challenge. Named the High Element Negotiation Course, it is an indoor, weatherproof two-storey course which consists of over 15 different obstacles to conquer. Each team was further divided into pairs, where they had to retrieve a total of 10 symbols and numbers to create an equation that amounts to zero. Additionally, some pairs were faced with further challenges such as being blindfolded, or carrying a hula hoop as they balanced, climbed, and crawled through the obstacles. There was a buzz of excitement as teams learned to communicate effectively by guiding their teammates, shared opinions and worked together to create the winning equation under pressure. At the end of this 2-hour activity, while our teams may have strengthened both physical and mental attributes; the initiative has more importantly, strengthened the team spirit at Human Resources. Do differences in expectations lead to the gender pay gap? Meet the powerful boss who has no problem publicly naming employees he fires or disciplines, and exactly what they did to deserve ..